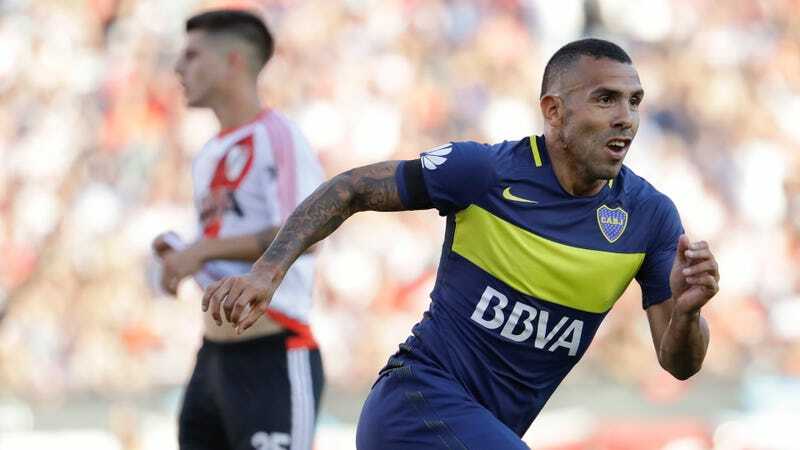 As expected, former Juventus and Argentina national team star striker Carlos Tevez has officially signed with Chinese Super League club Shanghai Shenhua. And while rumor had it that Tevez was set to be the highest paid soccer player in the world, it appears that he’ll have to settle for a spot in the top five. Shanghai Shenhua paid a £9 million ($11m) transfer fee to get the striker, and while it was initially said he would be paid a world-high of £615,000 ($760,632) a week to make the move reports in China say it will be significantly less. The total deal over two years is reported to be £32.5m ($40m) including the transfer fee, which works out at £226,000 per week and that would place him significantly behind the reported salaries for Cristiano Ronaldo (£288,000 after tax) and Lionel Messi (£256,000 after tax). That puts Tevez’s salary right around fellow Super League players Oscar and Hulk, still good enough to fit him into the top handful of earners (not including things like bonuses) but not enough to see him top the list. Oh well, we’re sure he’ll be able to make do.